If the goal of eating and drinking is to maintain and improve health, then the typical single most important element in food would be nutrition. The Chinese, however, focus on colour, fragrance, taste and form in food, looking for refinement in food vessels and elegance of the dining environment, demonstrating an artistic spirit. Hence, from the beginnings of documented history, the Chinese advocated the philosophy of ‘harmony between the five flavours (wuweitiaohe)’. 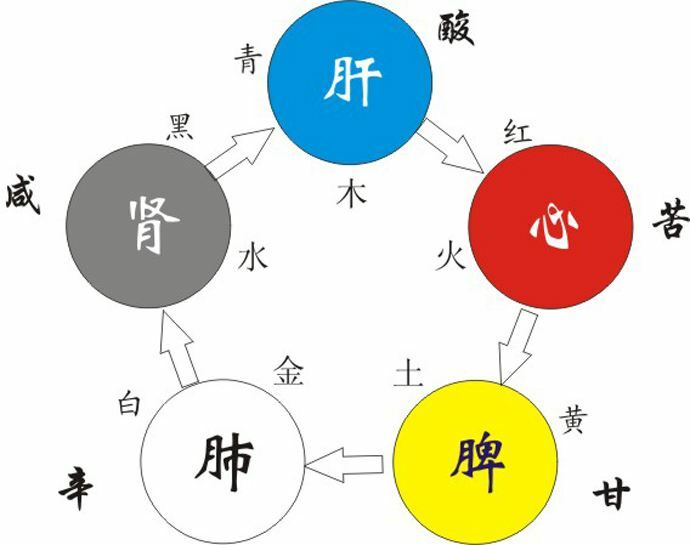 It could be related to the core concept of Confucianism: ‘harmonious society (hexie shehui)’. The Chinese invented ways to adjust blended ingredients and spices for a wide variety of tastes. Revolving around the ‘five flavours, which are sourness, sweetness, bitterness, pungency and saltiness, dishes can evolve into more than hundreds of different ﬂavours. Of the ‘ﬁve flavours’, saltiness is the principal flavour. It is the simplest and simultaneously the most crucial. Salt is needed to heighten any flavour in foods. Without it, any delicacy cannot emerge in its full glory. But from a health perspective, salt should not be taken in excessive quantities. The most important salty ingredient is obviously salt. However, soy sauce is of almost equal importance as a salty seasoning in Chinese cuisine. Soy sauce is a good example of how a few other flavours can be deftly used to cut the raw edges from pure salt. Some salty ingredients: salt, soy sauce – regular. Sourness is also an indispensable taste in foods, especially in the northern part of China, where water supply is heavy in minerals and strong in base. So, in order to induce better digestion of food, vinegar is often used in cooking. It can also arouse appetite. Sour taste can also neutralize ﬁshy odour and greasiness. At banquets with strong grease and heavy meat dishes, sour dishes are usually added to neutralise the greasy mouthfeel (ni in Chinese). They come in many varieties. Not only are the sour tastes of plums, fruits and vinegar different from one another, just the different types of vinegar are distinguished by its production areas, different ingredients and different production techniques, thus causing quite drastic differences in taste. Usually, the northerners regard mature vinegar made in Shanxi as orthodox, whilst the people in the Jiangsu-Zhejiang area appraise the Zhenjiang-made rice vinegar as authentic. The most typical of all places eating vinegar is the province of Shanxi. Many families there are skilled at making vinegar from crops and fruits. Their everyday meals are even more dependent on vinegar. A very interesting thing is that in the Chinese language, the word “vinegar” is used to represent the feelings of jealousy between men and women. Slang, such as ‘eat vinegar(chi cu)’ for being jealous and ‘vinegar jar (cugangzi)’ for a jealous person, are universally understood in both the north and the south. Some sour ingredients: bitter melon-fresh, vinegar, lemon, lime, dry wine, cranberry, wild cherries. Pungency is the most stimulating and complex of the ‘five flavours’. Sometimes Chinese use ‘pungent-hot (xinla)’ as one word. In actuality, pungency and hot (la) have major differences. Hot is sense of taste, stimulating the tongue, throat and nasal cavity. Instead, pungency is not just a sense of taste as it involves sense of smell as well. Pungency is mostly obtained from ginger, while hot and spicy usually denotes the use chili pepper or black pepper. Since hot peppers were a foreign product, there was no mentioning of ‘hot’ in ancient Chinese cooking, instead it was generalised as pungency. Ginger not only neutralizes rank taste and odour but can also bring out the great taste of ﬁsh and meats. So, ginger is a must-have when preparing ﬁsh and meat. There are also principles to using hot peppers. We should not merely seek for the degree of hotness but should rather use saltiness and natural essence of food as fundamentals, so that the hot and spicy taste comes out multi-staged, full of great aroma and not too dry. In addition, garlic, scallion, ginger and other spices can also kill bacteria, so are great for cold dishes with dressing. Some pungent ingredients: ginger, black pepper, chili peppers, Sichuan pepper, cinnamon, mace, nutmeg, radish, cardamom. Bitterness is rarely used alone in cooking but is a valuable asset. When making simmered or braised meats, adding tangerine or orange peel, clove, almond and other seasonings with a light bitter touch can rid the meat of unpleasant taste and smell, and awaken the original flavour of the food. Black foods usually also have bitter flavour notes. Traditional Chinese medicinal theories believe that bitterness is helpful for the stomach and produces saliva. Some people really enjoy bitter taste in foods, such as in the Sichuan-style ‘Strange Taste (guaiwei)’ type of foods, which have the bitter elements. Some bitter ingredients: bitter melon-ripe, Seville orange, soy sauce-thin, garlic-raw, star anise, dry mustard, radicchio, mustard greens, endive, arugula. Sweetness has the effect to cushion the effect of other basic flavours, whereas saltiness, sourness, pungency and bitterness are all too strong, they could be remedied by sweetness. When making dishes of other tastes, sugar can improve and embellish. However, using large amounts of sugar is not recommended, as too much sugar can be nauseous. Since many spices can produce a sweet ﬂavour and they all taste quite different, much of the culinary world hails cane sugar as the orthodox sweetness. Some sweet ingredients: sugar, honey, coconut, bell peppers, apples, grapes, raisons, hoisin sauce, cooking wine, garlic-cooked dates, onions-cooked, rice-cooked, bing cherries. What is not listed in the ‘ﬁve flavours’ but still holds an important status in the culinary world is the ‘freshness’, now better known as umami, factor. ‘Freshness’ is the most tempting flavour in food. Most foods all contain an ‘essence’ but it is often dormant, so making soup is often the way to awaken the taste. Chicken, pork, beef, ﬁsh and ribs can all be used as soup stock. When the unpleasant tastes and smell are eliminated during the soup-making process, the essential ﬂavour is fully exposed by adding just a touch of salt. Stock not only can be enjoyed directly but can also be used to make other plain foods taste great. Such foods include shark’s fin, sea cucumber, bird’s nest, bean curd and gluten, which all must be cooked with essence soup to achieve its mouth-watering taste. Monosodium Glutamate (MSG) is an artificial essence. Its synthetic nature makes it impossible to compare to naturally made stock. So skilled chefs usually do not care for it. Five tastes in harmony, with ﬂavour as the top priority, bringing direct pleasure to the tongue. At the same time, it is a good health-protecting and body-regulating method. Traditional Chinese medicine (TCM) theories state that pungency can regulate bodily ﬂuids, blood and qi, and can be used to treat bone and muscle pain from coldness, kidney problems and so on. Sweetness can nourish, soothe, and improve emotional mood. Honey and red jujubes are also great tonic foods for those who have a weak and frail physique. Sour taste can cure diarrhoea and produce saliva to stop thirst. Sour vinegar can prevent colds, while eggs boiled in vinegar can stop coughing. All these are folk cures with adequate modern medical recognition. Bitterness can release heat in the body, improves vision and detoxify the body. Five tastes in harmony is an important factor to great health and long life. The picture shows that sour is linked to the liver, bitter to the heart, sweetness to the spleen, pungency to the lungs and saltiness to the kidneys. Chinese cuisine is apt in mixing and blending flavours. Spices and other seasoning ingredients can be combined in endless ways, but a small number of the them have become such favourites of Chinese chefs, that they have got used with various types of foods. An example introduced in an earlier post is yuxiang, ‘fish flavour’. In that post, I introduced the basic recipe and a number of variations developed by food technologists. This post adds another dimension to the understanding of such generic compounds: the mix of basic flavours: yuxiang is relatively hot, but the right combinations of saltiness, pungency, sourness and sweetness can bring out the delicacy of the peppers while containing excessive sharpness.